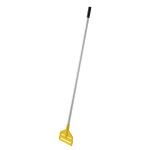 The Rubbermaid FGH125000000 Invader® side-gate wet mop handle has an aluminum construction with a yellow plastic head and a thumbwheel to clamp mop heads in place. It is compatible with mop heads that have a 1-inch headband. Not sure if this handle is right for you? 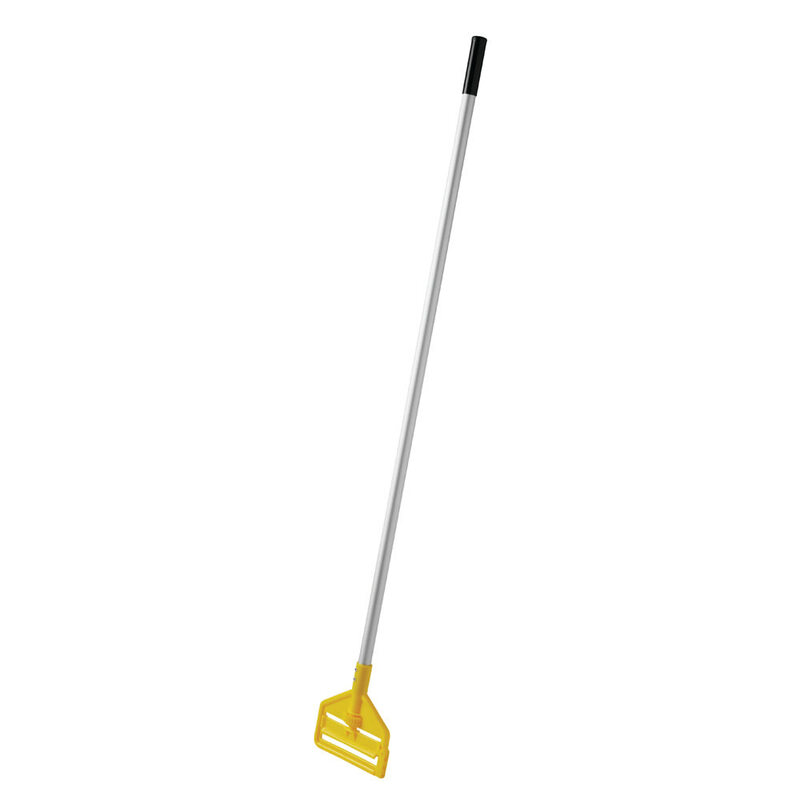 Check out our mop heads and handles guide to learn more.